“Happy Birthday to me, Happy Birthday to me” he sang to himself in his best Mortimer Snerd immitation. He of course is me, and I was singing in that fashioin as I stood before the mirror this morning while shaving. 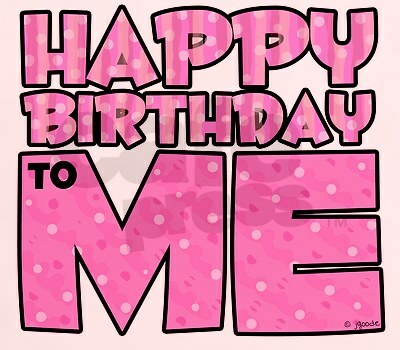 Then I begin to think exactgly what this day means, so I changed the words to “Birthday to me, Birthday to me”. Afterall, today I officially changed my status from middle age to old age. Today I turned 65. How time has flown by! Has it really been 48 years since I enlisted in the Navy? Almost 36 years that I have been married? (and I still love her) 21 years since my father died and 10 years since my mother passed away? Wow, I have grown children, who have children. Amazing! One thing i have discovered, my wallet is fatter than it used to be. Sadly, not because I have more money. It is fatter because it now contains the reminders of my advancing age, my AARP Card, my Golden Buckeye Card, my senior citizen Metro Fare Deal bus discount card. Fortunately since this is the digital age, I am able to offset some of that since I carry photographs on my mini SD card in my Blackbeerry and not in my wallet. Ya gotta love technology. I also now qualify for senor portions at various restaurants. So as I sit here and commiserate with my self over my advancing age and declining years, I actually realize I am very lucky. My Blackberry keeps dinging as friends and family wish me well on Facebook. How truly fortunate I am to have friends and family. How truly fortunate I am to have food on my table, a roof over my head, and a God who loves me. So to all the well wishers I say “thank you, thank you, thank you very much” (in my best Elvis Presley voice). I am truly blessed. So I am changing the words back. HAPPY Birthday to me, HAPPY Birthday to me!